Michigan's players have lined up to tell reporters the same thing this offseason: they've seen their head coach change. A big group of the Wolverines have echoed each other, noticing a different Jim Harbaugh. They claim he's more open and responsive to player suggestions, and has shown more interest in them off the field. Harbaugh doesn't think he's changed at all. "Some people make a good first impression. Some people just grow on you. You know, I think I grow on people," he told WXYZ on Monday. 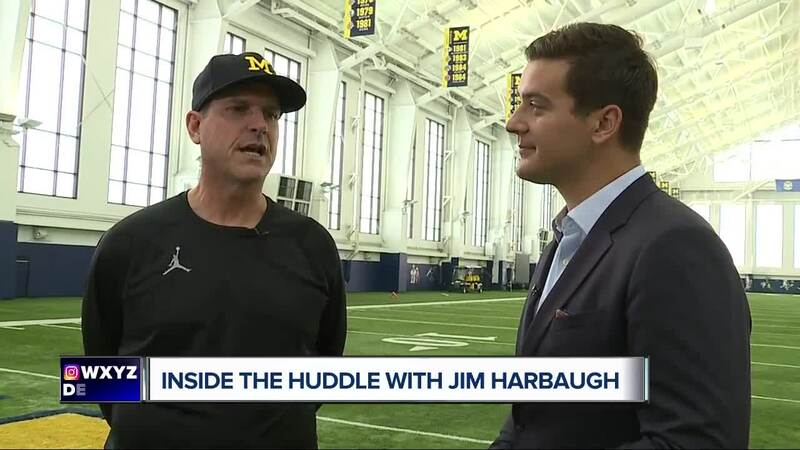 Ahead of Michigan's season-opener at Notre Dame, Harbaugh said college football lends itself to young players understanding a coach's expectations as their careers evolve. It's his fourth year as head coach in Ann Arbor. "I don't think I have made any changes. I think people get to know you better when they get to know you. You talk about young players that have been here for a year or two, they get to know you better as you go along," Harbaugh added. WATCH MORE ON ACTION NEWS AT 6 MONDAYS THROUGHOUT THE SEASON. CHECK OUT THE FULL VIDEO IN THE PLAYER ABOVE.